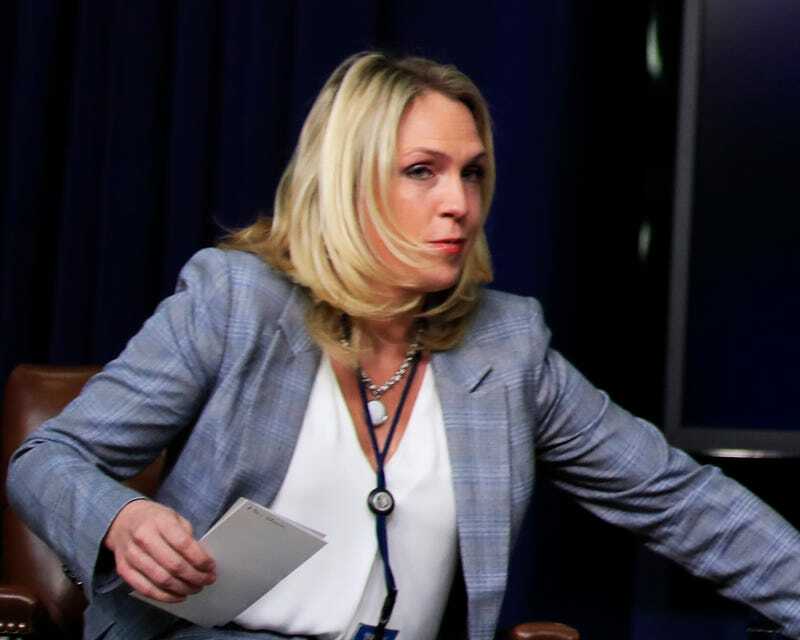 Then-special assistant to President Donald Trum Kelly Sadler attends a forum at the Eisenhower Executive Office Building at the White House in Washington, D.C.,on March 22, 2018. Kelly Sadler, the White House aide who made national news when she “joked” that no one in the Trump administration should care what Sen. John McCain (R-Ariz.) thinks because “he’s dying anyway,” has left the White House. The West Wing aide made the comment to colleagues during a closed-door meeting last month; she was referring to McCain’s opinion regarding President Donald Trump’s CIA nominee. The 81-year-old McCain was diagnosed with glioblastoma, an aggressive form of brain cancer, in July. White House spokesman Raj Shah says, “Kelly Sadler is no longer employed within the Executive Office of the President,” the Associated Press reports. Sadler’s comment received broad criticism, but instead of offering McCain an apology, Trump demanded a crackdown to prevent leaks to the media. Sadler apologized to the McCain family privately, but McCain’s daughter asked for a public apology, AP reports.